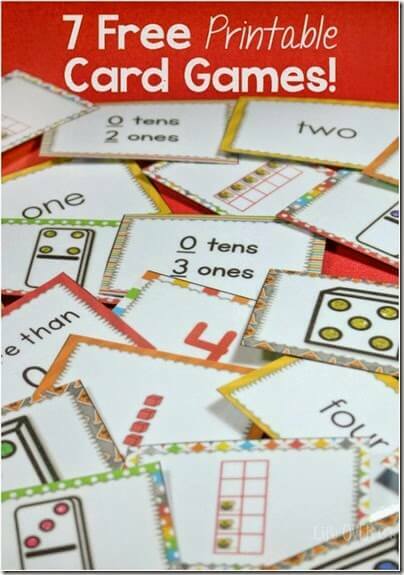 Looking for a fun cool math games to help your Preschool-2nd grader practice numbers and place value? Here is a really fun free printable game that can be played 7 different ways! Help kids develop math fluency with this free printable math game! Just pop over to Live Over C’s to print the math cards that include dice, dominoes, counting blocks, number, number words, place value and more! Now use the cards to play the 7 games explained in the free printable. That’s a whole lot of fun math games from one set of cards!